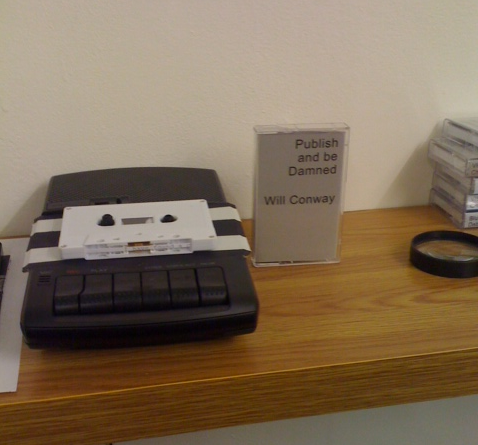 A while back I wrote a poem especially for Nick from Annexe magazine to make into a tape cassette for his exhibition Sites of Alternative Publishing. Mine and a few others including Anya Pearson from inczine were displayed in 5 years gallery in Hackney. I didn’t realise at the time but someone made a video of my poem. You can read the poem in the video here.